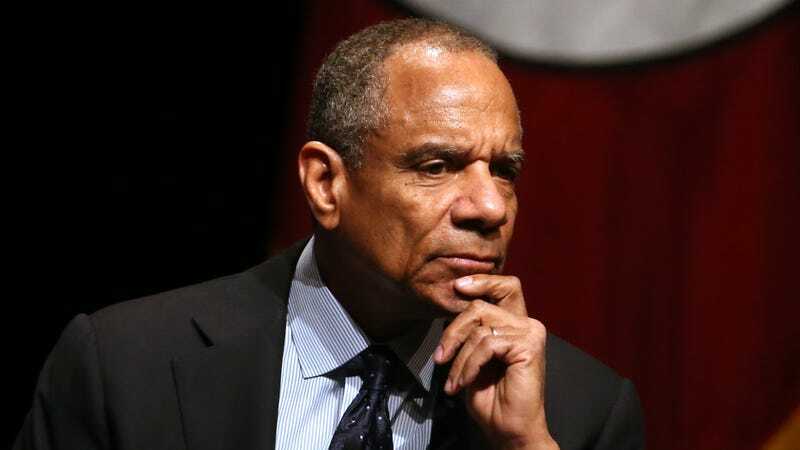 On Thursday, Facebook announced that Kenneth I. Chenault, CEO of American Express, will join its board of directors. In a blog post celebrating the news, Facebook CEO Mark Zuckerberg praised Chenault’s decades-long career with American Express and his expertise in brand building. When Chenault officially joins the board on February 5th, the day after Facebook turns 14, he will be the company’s first non-white board member. “I’m delighted to join the board and look forward to working with Mark and the other directors as Facebook continues to build communities that help bring people closer to friends, family and the world around them,” Chenault said in the post. In the blog post announcing the appointment, Zuckerberg said, “I’ve been trying to recruit Ken for years.” Seriously? “Years?” It’s uncomfortably close to saying Facebook didn’t have any non-white board members for 14 years because they couldn’t find any—or, slightly more plausibly, the ones they found didn’t want the job. Let’s hope Chenault can temper Zuck’s penchant for weirdly out-of-touch statements and Facebook’s tendency to accidentally abet racism on its platform.